eBook Distribution — Where Do People Buy My eBook? 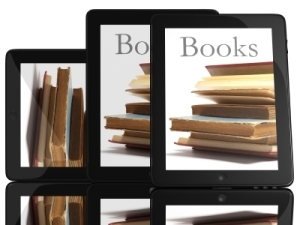 A question we often get asked is — how are eBooks distributed? Authors, especially those who are familiar with traditional publishing and paperback books, wonder how the system works for eBooks. 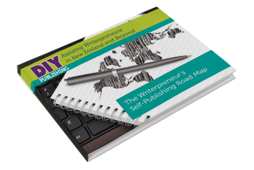 In short — it’s a lot more straightforward than traditional publishing. eBooks are just a computer file. There are two main formats: MOBI for Amazon and ePub for everyone else — but basically, each is just a file comprising words, images and a bit of code. Moving files around is very easy — no warehouses or trucks are required. And no returns! No re-stocking fee! Never out-of-print or unavailable! your book is now on sale. If you find the process intimidating we can help with that. I know it’s fashionable for some parts of the New Zealand book scene to turn their noses up at Amazon, but for almost all self-published authors that is where they will sell most of their eBooks. And Amazon is by far the most user-friendly and easy platform to setup your account on. Although there are some reasons to go exclusive with Amazon — at least for the first 90 days — there are plenty of other online bookstores for your eBooks. However, all have a more difficult interface, and most pay slower than Amazon. For most authors — the only one of these that ever seems to sell a significant number of books is iBookstore, and Wheelers for some NZ genres. Aside from Wheelers and Google — the other international bookstores have an alternative. You can use a middle man — we use Smashwords.com, but there are others. They do take a small percentage of your earnings — but for most authors this is a fair price to pay given the difficulty in getting into B&N and iBookstore as a non-American. And the Americans use them because it’s easier to deal with with aggregated statistics and payments. What about getting my eBooks in bookshops? We’ve been asked this quite often, but think about it — why would you go to a physical bookshop to buy an eBook? Whitcoulls tried it for a while (promoting Kobo) — but they’ve stopped now. eBooks are cheaper than paperbooks, partly because there is no margin in their price for retailers. People browse and buy books from their eReader, tablet or phone. How can I sell my eBook direct? Selling paperbooks is relatively easy — you hand over the book, they hand over the cash. But what if someone standing in front of you wants the eBook version — how do you do that? Here’s a suggestion. What about having some bookmarks printed up — with a QR code on the back? When the potential buyer scans the code with their phone, they get taken straight to Amazon to buy your book there and then! Exactly like buying a paper book — but without the paper! Contact us if you need help with the design and printing of bookmarks, business cards, and similar marketing materials, or with setting up distrubution accounts.